For Julius Caesar, it was the Ides of March. For a more modern Caesar, it was the Ides of August. August 15 marks the anniversary of the passing of Ezra Weston II (1772-1842) who was known locally as “King Caesar.” Ezra Weston may not be a household name but the man had a huge impact on Massachusetts maritime history and, reaching across the span of almost two centuries, continues to have an influence on the historical character of the community of Duxbury. Weston was a merchant fleet owner with a prodigious and truly uncanny talent for administration and finance. He reigned as the dominant magnate of Duxbury, Massachusetts in the early 19th century–a wealthy and powerful man. His father, who started the family business, had earned the nickname “King Caesar” due to his ambition and heavy-handed business practices. (The particular episode that led to the coining of this nickname–a battle over the first Bluefish River Bridge–is perhaps a story for another time). The title passed to the son, Ezra II, who lived up to the sobriquet, but not through heavy-handedness. Instead, Ezra Weston II brought the family business to international prominence through sheer talent and unrelenting effort. We are not talking about Boston Brahmins here. Duxbury was not that kind of place. 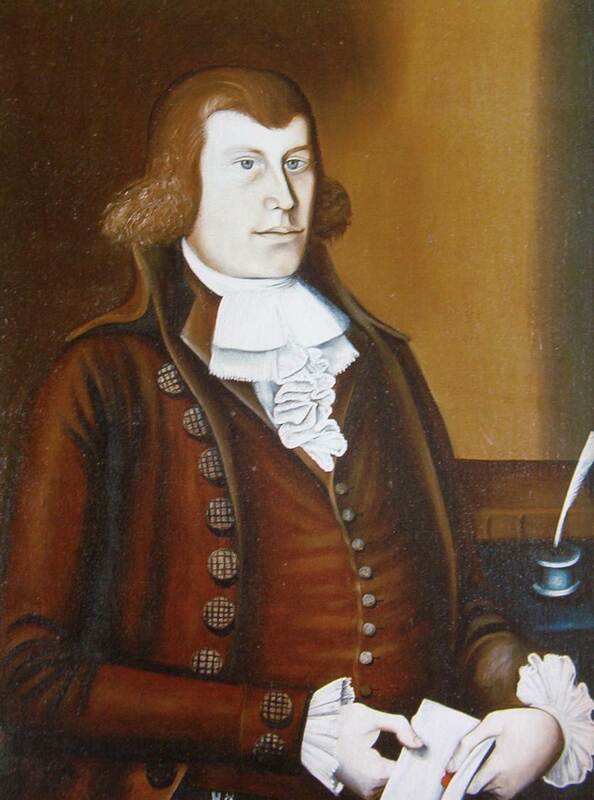 Ezra Weston II was a country-schooled, back-water Yankee and yet a prodigy who instinctively knew how to build a mercantile empire. Senator Daniel Webster gave an off-the-cuff remark in 1841 during a speech in Saratoga, New York calling Weston the “largest ship owner, probably, in the United States.” This quote has been repeated in numerous maritime histories, leaving out the “probably,” without every really questioning its veracity. After years of comparative research, the best I can say is that Weston probably had the largest merchant fleet in Massachusetts in the early 1840s. He certainly had the largest merchant fleet on the South Shore of Massachusetts at the time. 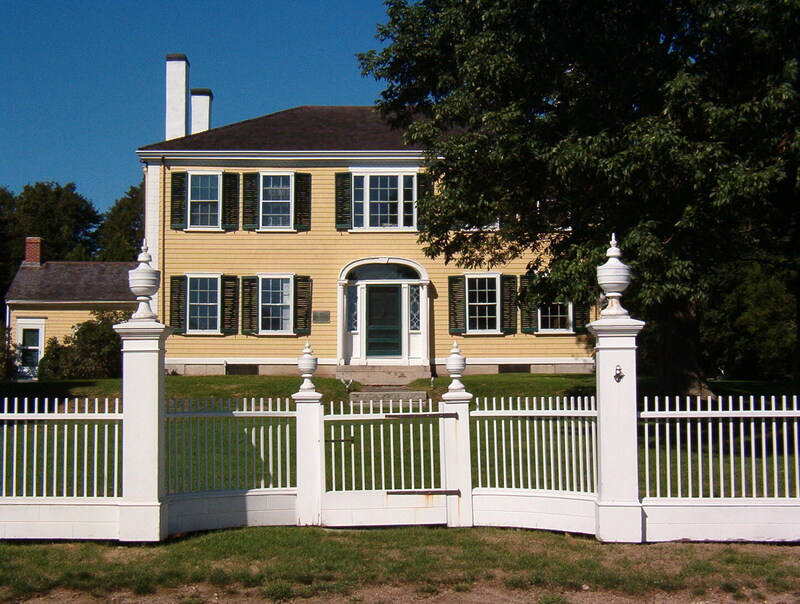 Ezra Weston II’s house is now maintained as a museum known as the King Caesar House by the Duxbury Rural and Historical Society. Some years ago, I wrote a book about King Caesar which, if such a thing should interest you, I suggest you order through the DRHS (full proceeds go to the historical society). There are, of course, many aspects of King Caesar’s life and his work that fascinate me, and there are a number of things I could write about here: his seemingly innate talent for finance, the storied histories of the fine ships he built, the biographies of the many sea captains and ships carpenters who worked for him. But, today’s date prompts me to consider, as I often do on August 15, the strange and ironic circumstances of his death. There are virtually no extant personal papers written by King Caesar. The historical society has many business records on the Weston firm and so what we know about him relates almost exclusively to his business activities. It is almost impossible to get at his personal life, which might make him a more three-dimensional figure and shed light on his private motivations and opinions. I found this frustrating when researching the book. The true man behind the autocrat of local legend remains a mystery. His death is a perfect example of this. Not being familiar with medical terminology, I had no idea what that meant and I had never seen it in the many early death records I’d looked up. Something was unusual here. The 19th century handwriting of the record was poor and I had to copy down several different versions of what I thought the word might be. Today one would simply look it up on an iPhone. Instant answers. But at this time there were no smartphones and no wifi. I suppose I could have found a dictionary there, but instead it was a long drive home until I could go online and look it up. Marasmus was the period medical term for starvation. Duxbury’s wealthiest man, one of the great tycoon’s of 19th century Massachusetts, died of starvation. How could that be? It stands to reason that he must have been severely ill for a protracted period of time–possibly due to cancer, consumption, dementia, or any number of debilitating illnesses that weakened him to the point where he could not eat. A little further research proved that King Caesar had been declining for quite some time. In Duxbury, the 15 inst., Ezra Weston, Esqr. 70. Mr. Weston was long known as one of the largest ship owners in Massachusetts. He was an active and successful merchant, indeed he was industrious, and so devoted to business as to probably impair his health, which for two years has been very feeble. But he was not grasping nor avaricious, and no one could accuse him of dishonesty or oppression, or over-reaching his business. He usually employed a great number of mechanics, who always bore witness to his integrity and kindness. Another of the scant shreds of evidence regarding his decline…in the archives of the historical society is a scrap of paper on which a Duxbury woman wrote, around the turn of the 20th century, that her mother, as a girl, had remembered seeing old King Caesar running about Powder Point in Duxbury in a red cloak during thunderstorms. Dramatic gossip stretched and inflated over the span of generations? Perhaps. But if there is anything to it, we might infer that Weston’s mind was declining along with his body. Weston was responsible for the launch of dozens of vessels from Duxbury’s shores. The very last he saw launched just a few months before his death was a brig of 140 tons. The name that he gave her is laced with morose irony and we are left to wonder if he did so with his own mortality in mind. He called her the Vulture. I spent a good deal of time promoting King Caesar’s life, his accomplishments and the legacy of achievement that is preserved within his house. But every August 15, I can’t help but wonder over the perplexing and sad circumstances of his death. And, although it may just be my overactive imagination, I tend to think the house takes on a somewhat darker atmosphere on the Ides of August.